While at SUNY at Buffalo Law School, he received Honors in Legal Research and Writing, and was awarded the GPOP Fellowship for his outstanding academic record. Mr. Colón began his legal career in 1984 as an Assistant Corporation Counsel in the Tort Division, Manhattan Trial Unit of the New York City Law Department. 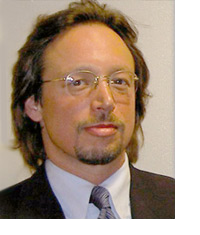 In 1988, he joined Verizon (then NYNEX) as Litigation Counsel representing the corporation, its subsidiaries and its employees in all aspects of civil litigation in Federal and State courts at the trial and appellate levels in the areas of negligence, contracts, UCC, fraud, environmental and service issues. He is a founding member of the firm. Mr. Colón serves as outside trial counsel to major corporations, insurance carriers and other business entities. His primary area of practice is in personal injury defense, including all types of negligence matters including motor vehicle accidents, premises liability, slips and falls, labor law and toxic torts. Mr. Colón is admitted to practice in New York. He is also admitted to practice before the United States District Courts for the Northern, Southern, and Eastern Districts of New York, and the United States Supreme Court. He is a member of the New York State Bar Association, the Puerto Rican Bar Association, and the Hispanic National Bar Association. Mr. Colón was appointed to the New York State Board for Professional Medical Conduct in May, 2009.